From the flight in, weaving through the valley, transfer to Thimphu Valley, where treasures that waits are to be much anticipated. 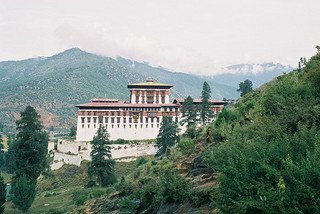 Upon arrival in Thimphu will enjoyed Bhutanese delicious lunch, then will visit Memorial Chorten and will have some ‘Kora’ and to , painting school and Zilukha Nunnery. Dinner will be host with one Buddhist scholar, to have talks and chats about Buddhism. (Overnight: Hotel in Thimphu). After breakfast, will drive north-east of Paro town coming across farmland, village houses and schools will reach to start point of expedition to the sacred Land of Mystery, Paro Chumbu Ney, here will have little refreshment before we start the hiking. The trail goes through dense forest but will meet with various religious monuments. Of course, the representative will assist to explain each and every site. Lunch will be packed and tonight campsite will be below Chumbu Monastery. (Overnight: Camp below Chumbu Monastery). Early morning will hike uphill to reach main sacred land of mystery. On the way will meet with very holy and religious sites which will be explained individually. After reaching there, initially will visit the main monastery and will lit the butter lamps, get the blessing and pray for good fortune for forthcoming days for all sentient beings in this universe and one important thing is to get view the statue laying on air, Dorji Pahgmo (Vajra Varahi) in altar room, which is really a amazing and mystery one. Thereafter, will hike little uphill to get view the holy pond (Drupchu) site and will come back for lunch. 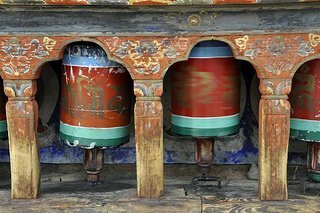 After lunch, will host some prayer flags and spiritual leader of the monastery will concentrate and all of us will pray for good omens and eject the negative action, then reversed hike downhill to campsite. Reaching camp will be leisure. (Overnight: Camp below Chumbu Monastery). 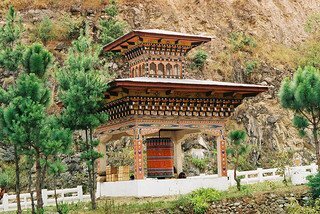 Morning, drive to Paro International Airport to fly toward your next destination airport.